The Johnsons are just like every family — except that they live in the White House. Patriarch William Johnson (Christopher B. Duncan) runs his family, his household…and the country. 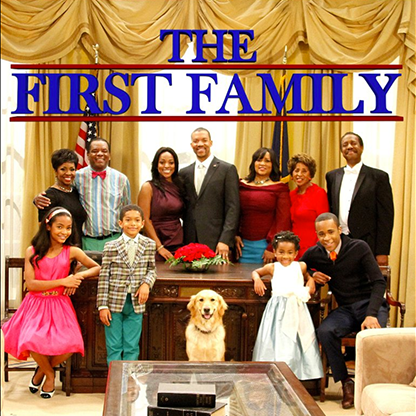 In between making political decisions, President Johnson must juggle family time with his wife Katherine (Kellita Smith — “The Jamie Foxx Show;” “The Bernie Mac Show”), his father Alvin (John Witherspoon — “Friday;” “The Wayans Brothers”) and children Charles (Khylin Rhambo) and Olivia (Layla Crawford). Further adding to the chaos is the President’s sister-in-law, Pauletta (Jackée Harry — “Everybody Hates Chris;” “Sister, Sister”), who engages in non-stop verbal battles with Alvin and never fails to deliver her first-class sass. But the biggest challenge for President Johnson is his conflicting roles as husband, father and President that run him straight into the ground.